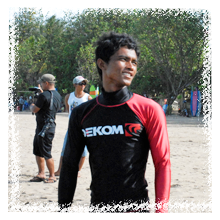 Bali Surfing Guide is for who have experience and want to enjoy surfing in good wave. This is the service for spporting surfers who seek good wave in Bali. Their surf guides are really know about ocean and surf spots in Bali, so they offer reliable support in the ocean to enjoy surfing! Support in the ocean to know local rule without trouble! Go to catch the best wave on the day with local staff! * Depend on level of surfing skill and favorite, you need to choose a point. The list below is some example, so let's choose the best point with our surf guide. If goofy, Kuta Reef, Uluwatu, etc. Surfing School is for beginners and little experienced middle level surfers, and it aims to level up. School is recommended for who want to learn basic skills. On the other hand, Surfing Guide is the service for who want to enjoy surf trip with good wave. If you can getting out, take-off, surf on fave of wave, you may try Surfing Guide! 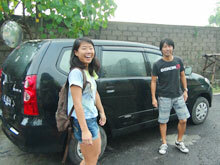 We will bring you to safe and enjoyable surf trip in Bali! Lunch is not included. Please pay by yourself at the place on the day. If you move to surf point by boat, you need to pay by cash on the place. 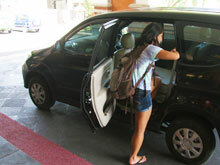 - If the point is far (over the Medewi, Balian and Keramas in east), need extra charge of Rp.125,000/car. All prices above are including tax. Max. 6 people in 1 group. Please use Surf Guide service from 7:00 am to 3:00 pm or 8 hours in a day. If you request extend hours, need extra charge of Rp.100,000/hour for each guide. We cannot bring you to different points for different level. One group enjoy surfing in a same point. 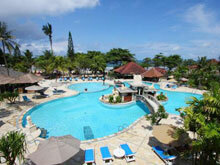 Accompany guest without surfing need Rp.350,000/person. How long can we surfing in the ocean? It depends on weather, condition of ocean, point and level and condition of guest, but usually, 1 round (2 hours) to 3 round (5 hours). Can I bring my family with me? But my family don't join surfig. Yes, it is possible. But, accompany guest need Rp.350,000/person. Surf guide is one for 1 group. Where is the place for lunch? Lunch is not including in our price, but we bring you to local warung neat surf point. Please eat your favorite food. Can I request surf point to go? Yes, you can. We will bring you for your request point such as "I want to go to regular point!" and " Try to go to reef point!" Are there secret points where only Dekom know? There are unknown point that only local guides can bring you, so we can also go there when its good condition. You can keep good wave by yourself sometime. Is it possible to learn from turn, cutback, etc. from Surf Guide? Yes, of course, we advice for you. Just ask freely about surfing skills. Require bank transfer payment 7 days before your departure day. *The first aid tools are available at the office and the beach. Our guide bring you to the best wave point on the day depend on your request and level. Bali has a lot of good surfing points, but when foreign surfers go surfing alone they often getting trouble with local young surfers. So I always request a surfer guide when go surfing in Bali. 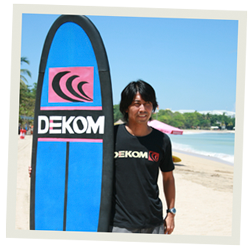 Dekom surf guides can speak good Japanese and well-mannered. They are quite different with the surf guides that you can find on every corner! I could catch good waves.